— The minimum ice thickness for supporting one person is at least 4 inches of clear, solid ice. 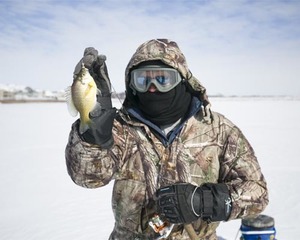 — Drill holes or use an ice chisel or spud bar to check the ice conditions while working your way out to your fishing spot. — Wear a life jacket. — Commercial or homemade ice picks should be worn around your neck in case you fall through and need something to grip the ice and pull yourself out. — Fish with others in case trouble arises. — Have a long rope with you so someone can rescue you if you break through the ice. — Before heading out, tell a family member or friend where you will be fishing. — Avoid alcoholic beverages. These affect your judgment and increase your chances for hypothermia. Fishing permits can be purchased online. Make a tax-deductible donation to the Nebraska Wildlife Conservation Fund and help fund projects that benefit the state’s many species. Donations have a big impact, as they are matched with other grants so that $1 donated becomes $4 for aiding wildlife. Projects the fund makes possible include improving at-risk species’ habitat, keeping common species common through prairie restorations and invasive species removal, and preventing future endangered species listings by funding reintroduction projects such as the now-thriving peregrine falcon. 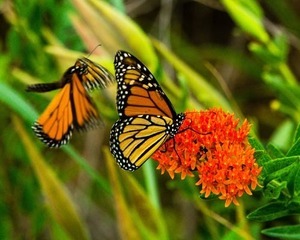 Visit us online for more information about the Nebraska Wildlife Conservation Fund or to donate. Don’t miss a single day. Renew your permits for 2018. Ready or not, a new year is almost here. Here’s something quick you can do right now to make sure it’s a good one: Renew your fishing, hunting, and state park permits for 2018. Using our fast online system, you’ll be ready to go in less than 10 minuteswith the ability to hunt, fish, and visit state parks and recreation areas in Nebraska for the entire year. Visit our website to get started. 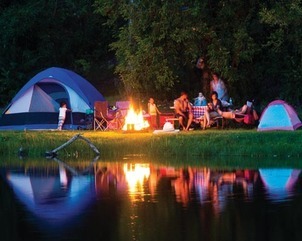 Enjoy a cozy winter getaway at a state park, with reduced rates at select locations now through April. You’ll enjoy all the comforts of home with family and friends in a perfect location to relax, enjoy nature or embark on an outdoor adventure. 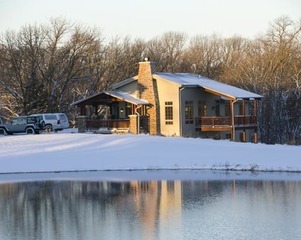 Your options include a luxurious mini lodge cabin at Ponca State Park, a lakeside view along the shores of Lewis and Clark State Recreation Area, a scenic overlook of the Platte River at Eugene T. Mahoney State Park, and more. Now through April, guests at select locations can enjoy a 30 percent discount. Some restrictions apply. Make a reservation online or by calling 402-471-1414.